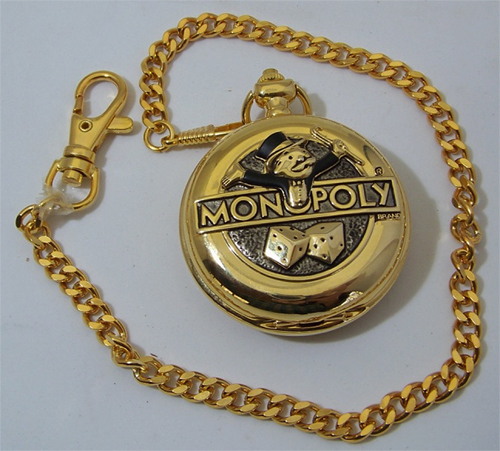 Click the button below to add the Monopoly Game Pocket Watch Parker Bros Franklin Mint Pocketwatch New to your wish list. 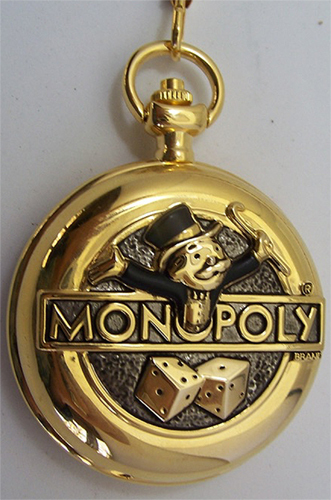 Monopoly Game Board Pocket Watch on Mr. Monopoly Stand,New. 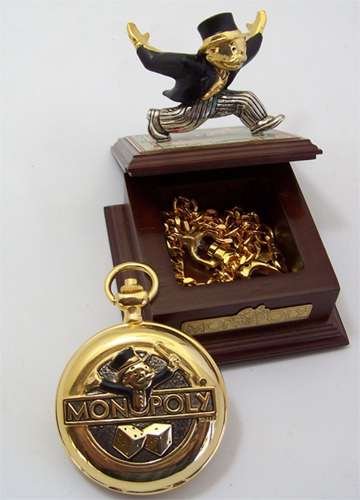 Franklin Mint sold out Gold Tone Monopoly Collectors Timepiece. Novelty Parker Brothers Collectible Limited Edition Pocketwatches. 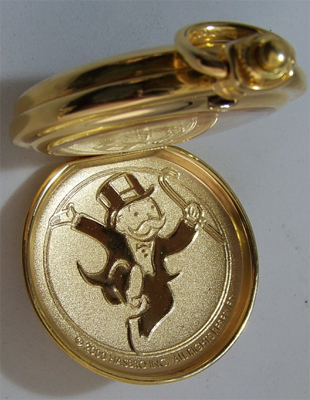 Rare, sold out Franklin Mint made Mr Monopoly ( Uncle Pennybags) stands atop a Monopoly board covered wood box, holding up a gold tone pocket watch. The pocket Watch cover has a 3D image of Mr. 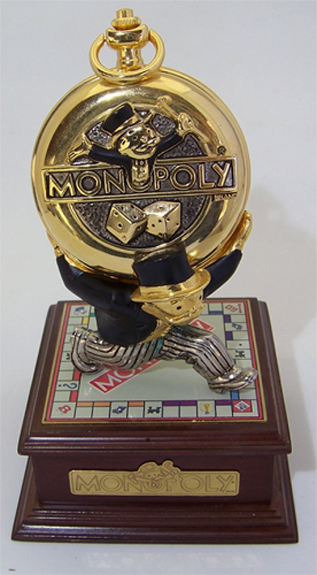 Monopoly against the Monopoly name logo along with a pair of dice. 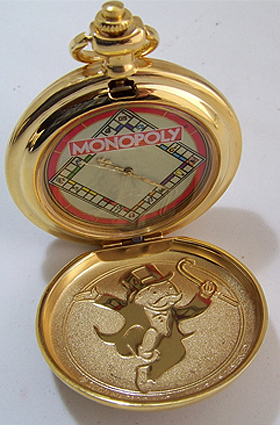 When opened the pocket watch features a Monopoly board with Monopoly name logo and the inside cover has a gold tone image of Mr. Monopoly. The case back is marked with a Franklin Mint authenticating seal.